Long before it was trendy to do so, we set up the very first creative pop-up (or meanwhile space) in Swansea city centre – our home town. In 1999, as one of the first projects we worked on, and with help from funding allocated for activities to celebrate the coming Millennium, we established a pop-up gallery – the Lounge – on Swansea’s High Street. Swansea Housing Association (now Coastal) were in the process of beginning a big High Street redevelopment (15 years on it is now really starting to make an impact) by starting to buy up the buildings there, but it was still a long way off, before creative renaissances and big Arts funding started to be talked about and implemented. Spaces were sitting empty with no long term prospects (they were due for demolition) but with a short-term potential. 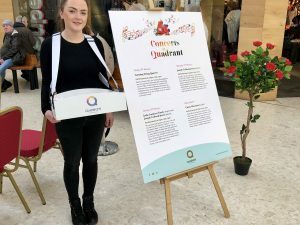 The idea, driven by Laura Reynolds – an arts graduate of Swansea Metropolitan University (now UWTSD) – was to create a gallery for recent graduates, to give them their first place to exhibit and to start building their CV outside University. 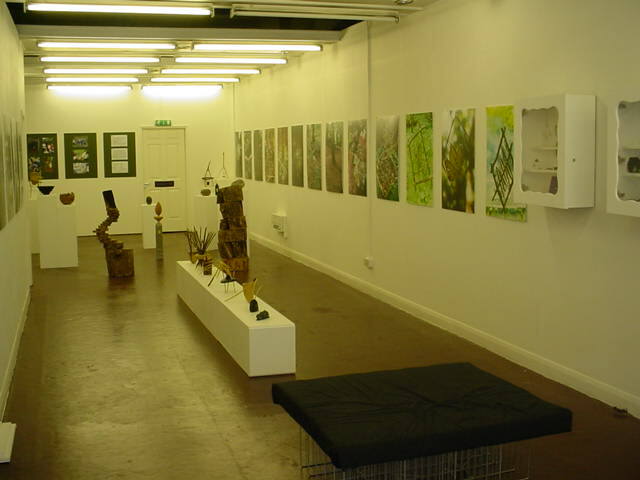 The Lounge Gallery was a great success, and later moved around the corner to College Street – taking over another long-term vacant shop space to create the Exposure Gallery, where it delivered a further range of great exhibitions featuring local artists as well as starting to showcase touring exhibits. Eventually the project split to form a community arts element and a gallery function. The latter, taken on by artists Jon Powell and Dan Staveley, went on to become the fantastic Elysium Gallery and Studios, which have brilliantly developed to become one of, if not the most exciting and vibrant cultural spaces in Swansea. We’ve helped over the years with its journey, (starting from a quick spreadsheet to go through the maths!) though it’s very much their drive and creative entrepreneurial vision, and a lot of hard graft by them, that have driven it to become the success it is. 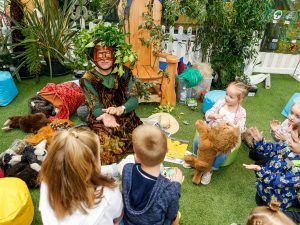 It’s a good example of how temporary pop-ups can become long standing institutions and businesses – in this case a social enterprise – even when they’ve long since left the place where they first started as a temporary use of space prior to development. We’ve done pop-ups many times since with others, including recently with Swansea University to develop its Oriel Science gallery, which has just been let for a new café bar (Meanwhile Space demonstrating the viability of a location and making something that previously had received very little interest into a commercially let space).